What is the point of radiation hardened silicon, and why do we need it? Sigenics, Inc. in Chicago, IL designs and produces custom ASICs. Application-specific integrated circuits range in form and function. One design that Sigenics has worked on requires a certain process known as radiation hardening. Let’s learn a little bit more about radiation and why it is such a harmful element in certain environments. “Radiation” is composed primarily of three components: heavy uncharged particles (neutrons), charged particles (protons, electrons, ionized nuclei), and ionizing radiation (X and gamma rays). Our atmosphere protects us from most radiation emanating from the sun. Radiation levels increase with altitude, and at certain altitudes, the radiation is concentrated by earth’s magnetic field. From an electrical perspective, certain equipment, such as spacecraft, must be built to withstand levels of radiation not normally present at the earth’s surface. 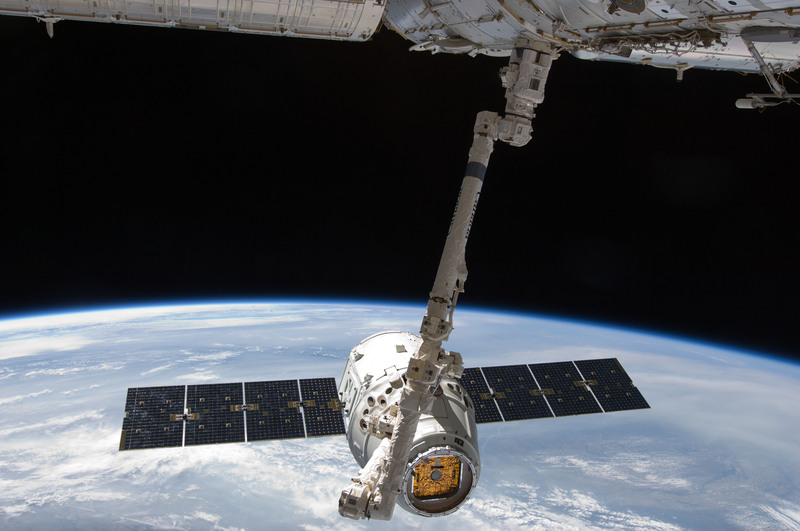 Electrical equipment that is onboard space equipment has large amounts of circuitry that can be harmed by radiation, therefore, ICs must be protected to handle such a harsh environment. Integrated circuits are comprised of transistors, resistors and other circuit elements designed to perform some electronic function. These tiny elements are fabricated on a wafer of single-crystal silicon. The performance of these devices, particularly the transistors, depends on the fact that there are very few defects in the crystal structure. Heavy particles, such as neutrons, can knock silicon atoms out of their place in the crystal lattice, which degrades the performance of the transistors. In addition, gamma rays or charged particles can introduce trapped charges into the silicon, which also alters the performance of the integrated circuit. Special silicon processing and circuit design techniques can mitigate the effects of radiation exposure. Since a silicon chip can be affected differently by different types of radiation, there are several metrics used to classify the electronics radiation environment. The most common is Radiation Absorbed Dose, or RAD, which describes the accumulated amount of radiation absorbed by a device. A silicon chip will gradually degrade as the crystal lattice becomes more scrambled over time by bombardment of neutrons or accumulating trapped charge, so the RAD measurement is often used to classify the “hardness” of satellites or other electronics which are exposed to low or moderate levels of radiation over a long period of time. Levels of 10kRAD are usually called “RAD-Tolerant”, and levels above 1MRAD are called “RAD-Hard”. Other radiation metrics which might be considered include neutron fluence, gamma dot and single event upset. These metrics have to do with a devices response to high rates of radiation exposure (as would occur near a nuclear explosion). For more information regarding radiation hardened integrated circuits, or to develop one of your own, please email us at customchips@sigenics.com.